WASHINGTON _ A $300 million power plant in Afghanistan paid for with U.S. tax dollars was an ill-conceived and mismanaged project that the Afghan government can't afford to switch on now that it's almost finished, a watchdog agency has found. The project in Kabul has ballooned $40 million over budget and is a year behind schedule because of missteps by the American contractors and the U.S. government, according to an audit released Wednesday by the Office of the Special Inspector General for Afghanistan Reconstruction. If the plant ever runs to full capacity, it could provide tens of thousands of Afghans in the Kabul region with electricity, which would be an achievement in a country in which only 10 percent of the population has it. Even when the plant is completed in March, however, the Afghan government is unlikely to be able to pay the millions of dollars for diesel fuel that's needed to power the plant and maintain it, the auditors concluded. The U.S. Agency for International Development has agreed to pay for the fuel temporarily. "USAID may face the difficult decision of whether to continue funding the plant's operations or terminating U.S. involvement with the project and placing the plant's future operation at risk," the report says. The special inspector general's office questioned the wisdom of building a diesel and heavy fuel plant that has a "technically sophisticated fueling operation that they (the Afghans) may not have the capacity to sustain." The audit is the latest to find fault with the USAID's oversight of projects by two U.S.-based contractors, Louis Berger and Black & Veatch. Last week, the special inspector general's office found that while the U.S. has spent more than $732 million to improve Afghanistan's electrical grid since 2002, delays and rising costs have plagued many of the two companies' projects, in part because of a lack of scrutiny by the American government. In November, another watchdog, the USAID's inspector general, found similar problems with the Kabul project and a plant in Helmand province, in southern Afghanistan. The two projects are part of a five-year, $1.4 billion contract to build many of the roads and energy projects that now are under way in Afghanistan. The USAID awarded it jointly to Louis Berger and Black & Veatch in 2006. The series of audits confirms McClatchy Newspapers' earlier reporting that delays and cost overruns had plagued projects built by Louis Berger and Black & Veatch. 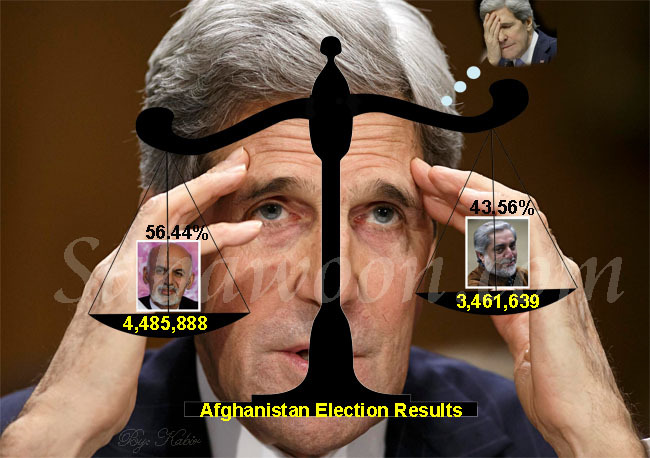 The special inspector general's report Wednesday says that a number of factors drove the USAID's decision to build the Kabul plant, including U.S. bureaucrats' worry that a lack of power in Afghanistan's capital "could affect national election results" in the country. Among Afghans, the Kabul power plant became known as "Karzai's winter coat" _ designed to keep him comfortably in power through the winter of 2009 _ and a project that the Bush administration could hold up as a success before President George W. Bush left office. The plant in Helmand province so far generates enough electricity to meet only about 20 percent of the demand in the region. The Chinese subcontractor deserted the project in November 2008 because of security threats. Auditors for the special inspector general, however, gave the USAID and the two companies credit for working to solve the problems and reduce cost overruns in the Kabul project since they heard the criticism. But critics say the projects reveal that the U.S. government continues to ignore the hard lessons of Iraq, where contractors received billions of dollars with little oversight and inspectors have found rampant waste, fraud and abuse. WASHINGTON — A $300 million power plant in Afghanistan paid for with U.S. tax dollars was an ill-conceived and mismanaged project that the Afghan government can't afford to switch on now that it's almost finished, a watchdog agency has found. Last week, the special inspector general's office found while the U.S. has spent more than $732 million to improve Afghanistan's electrical grid since 2002, delays and rising costs have plagued many of the two companies' projects, in part because of a lack of scrutiny by the American government. The series of audits confirms McClatchy's earlier reporting that delays and cost overruns had plagued projects built by Louis Berger and Black & Veatch. Carl Petz, a spokesman for Black & Veatch, said his company had completed most of the Kabul project and the power plant could be turned on now. The plant is expected to be used as backup during the winter months. When Petz was asked whether the company now questions the wisdom of building a diesel-powered plant, he said the USAID had made the decision and "diesel was determined to be the best option." Among Afghans, the Kabul power plant became known as "Karzai's winter coat" — designed to keep him comfortably in power through the winter of 2009 — and a project that the Bush administration could hold up as a success before President George W. Bush left office. However, critics say the projects reveal that the U.S. government continues to ignore the hard lessons of Iraq, where contractors received billions of dollars with little oversight and inspectors have found rampant waste, fraud and abuse.